This book is the first to engage with the full range of American travel writing about nineteenth-century Ottoman Palestine, and the first to acknowledge the influence of the late-eighteenth-century Barbary captivity narrative on nineteenth-century travel writing about the Middle East. 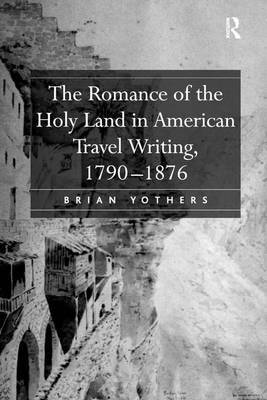 Brian Yothers argues that American travel writing about the Holy Land forms a coherent, if greatly varied, tradition, which can only be fully understood when works by major writers such as Twain and Melville are studied alongside missionary accounts, captivity narratives, chronicles of religious pilgrimages, and travel writing in the genteel tradition. Yothers also examines works by lesser-known authors such as Bayard Taylor, John Lloyd Stephens, and Clorinda Minor, demonstrating that American travel writing is marked by a profound intertextuality with the Hebrew and Christian scriptures and with British and continental travel narratives about the Holy Land. His concluding chapter on Melville's Clarel shows how Melville's poem provides an incisive critique of the nascent imperial discourse discernible in the American texts with which it is in dialogue.